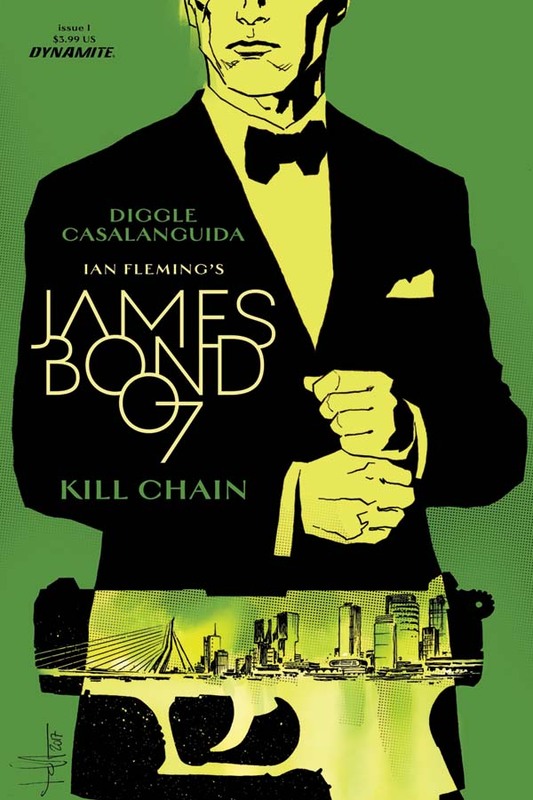 Dynamite's newest James Bond 007 story arc Kill Chain has kicked off with issue #1. The story is by the Hammerhead team of Andy Diggle with artwork by Luca Casalanguida. The issue comes in six variant covers. The image here is Cover C by Luca Casalanguida. You can purchase Kill Chain #1 at Amazon.com or Midtown Comics. Issue #2 is set for release on August 16, 2017.